Thornton's Fine Jewelry News and Events: GA Bulldog Ticket Give-Away!! 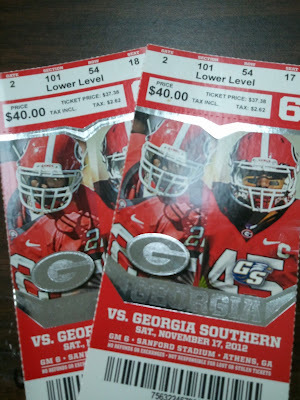 tickets to the November 17 home game against Ga Southern!! All you have to do is come into our store and ask to enter the drawing! It's that easy! Hurry in! The last day to enter is November 12. Good luck and Go Dawgs! !